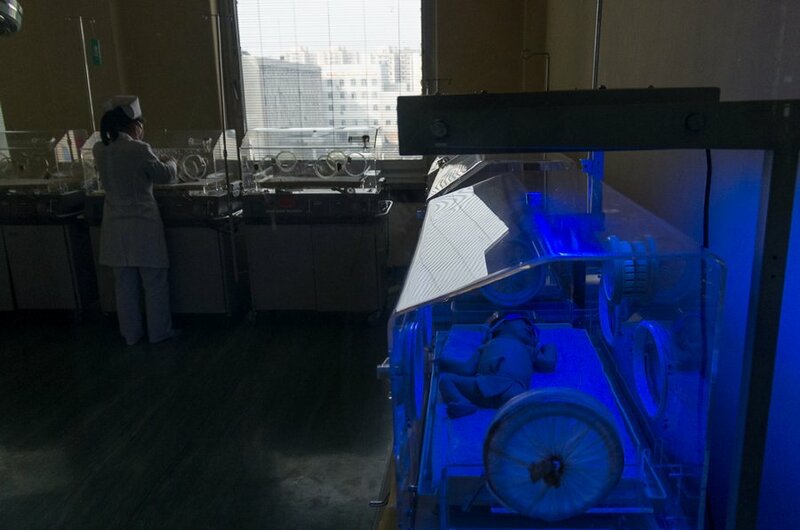 Health authorities are investigating a hospital in Xianxian County of Hebei Province, where a newborn baby died in an incubator after a power failure cut off its heat and oxygen supply for about five hours, local media reported. The baby boy's mother gave birth on December 2 at the Xianxian Maternal and Child Health Hospital. The boy looked strong but with his face looked pale, the doctor sent him to an incubator for oxygen therapy, the parents told Yanzhao Metropolis Daily. But the next day, a power blackout occurred at the hospital from 1:40am to 6:30am, cutting off oxygen and heat to the incubator, the parents told the newspaper. The baby's father, Li Dabing, said he was worried whether the baby would catch cold in the incubator when the power failure occurred, but a nurse told him not to worry, as power is usually restored after an hour. "I was thinking about taking my baby out of that incubator, but the nurse wouldn't help remove the medical equipment, such as tubes, from his body," Li told the newspaper. "I feared that the baby may catch cold there as even I felt cold in cotton-padded clothes." They waited until the hospital restored power after a worker started the emergency electricity generation system. The parents said the baby was then found suffering symptoms of exposure to cold, as his face appeared very red, he had a fever and kept sneezing in the incubator. The baby was pronounced dead last Wednesday, three days after it was born. "I believe the death of my son is directly related to the hospital's power failure and the cutting off of the oxygen supply," Li said. "As a public hospital, how can the medical workers restore power five hours after the blackout started?" A hospital vice director surnamed Luo said that the poor condition of the hospital's facilities was to blame for the five-hour-long power failure.